Families finished the Tech Goes Home Chattanooga program at Barger Academy. Upon graduation of the program, participants can purchase a Chromebook for $50. Tech Goes Home Chattanooga will host a graduation ceremony for all 2017 program participants Saturday. In 2017, the program has seen almost 1,200 individuals go through the program. Tech Goes Home Chattanooga partners with community organizations to provide 15 hours of training to help participants acquire the skills to be able to access information and resources online. Upon completion of the course, participants also have the option to purchase a new Chromebook for $50. The program also offers assistance in securing low-cost home Internet service through one of several available options. As a program partner, Lakesha Carson, principal of East Lake Academy, has seen the positive impacts on the families participating in Tech Goes Home, "As a 1:1 school where every student has a Chromebook, East Lake Academy parents who participate in TGH have been able to learn how to use the same devices that their students are using at school and at home, which has helped strengthen relationships between the school and families. We are grateful for our partnership with TGH." 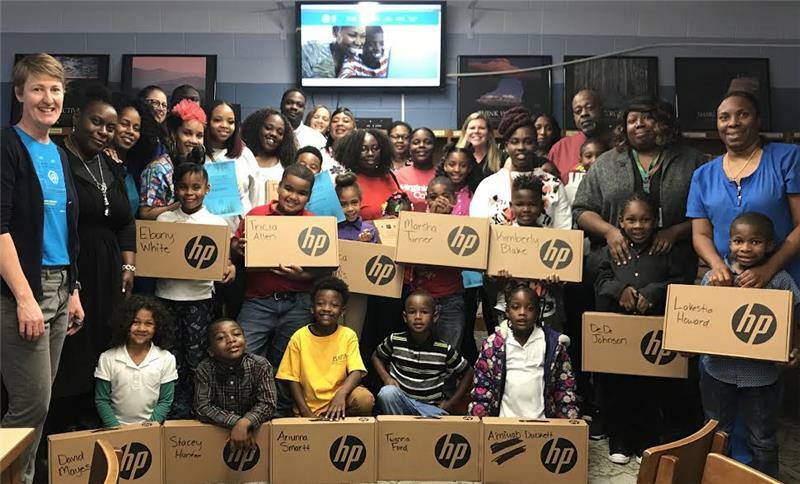 The Enterprise Center began the digital equity program in 2015 with just six sites and has since partnered with over 80 locations in Chattanooga and Hamilton County. Since 2015, the program 2,672 people have gone through the digital literacy program; putting devices into over 1,700 homes and connecting over 300 families to a low-cost Internet plan. For more information about Tech Goes Home Chattanooga, visit their website at: https://techgoeshomecha.org/.